Simmons Landscaping is based in Dublin, Central Georgia, and provides high-end landscape design, maintenance, and installation services for its clients. Our landscaping company provides high quality and professional services at a minimal cost. Our competitive landscaping firm is skilled in meeting the needs of our customers. Most other landscaping companies do not offer the experienced staff or time to provide a professional landscaping service. Simmon’s Landscaping is a competitive firm that exists to offer our clients the type of service they deserve. We are one of the most reliable landscaping companies in Central Georgia. The basic principle of choosing a landscaping service requires dependability. In this market, landscaping companies are plentiful. However, finding professional landscaping service at a competitive cost is not. 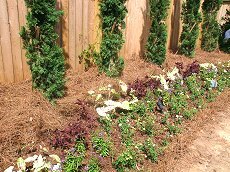 Simmons Landscaping provides very professional landscape maintenance and design work that is guaranteed to keep other competitors at bay, especially in Central Georgia. Simmon’s Landscaping has been in the business for nearly 10 years, and we have thrived as a landscaping company because we provide the utmost quality in landscape maintenance and design. Simmons landscaping provides dependability, which is quite often missing from large or corporate landscaping firms, who are unconcerned with customer satisfaction. Simmons landscaping is an exception to the big business model. Simmons landscaping believes that quality outweighs quantity. Simmons provides expert and experienced staff that knows the intricate workings of the landscaping business. Other landscaping companies may provide a decent design plan at a low cost, but the quality of the landscaping service will be dreadful. Simmons Landscaping provides a competitive cost that guarantees a high quality of service. Landscaping is not a job that should be done by amateurs. Simmons landscaping has the professional experience and competitive cost that keeps our customers satisfied and content. Simmons Landscaping has one clear objective: To ensure that our clients receive the highest and most professional level of service at all times. As a landscaping company in Dublin, Central Georgia, Simmons landscaping service can provide a complete landscaping package that meets your needs. From preliminary design, through both installation and maintenance, Simmons Landscaping provides the only service to address all of your property needs. Simmons Landscaping provides detailed plans that work through and prepare for the changing seasons. Simmons landscaping, which is based in Dublin, Central Georgia, recognizes that customer satisfaction is its highest objective. A landscaping company that can provide positive reviews or testimonials from clients should be your choice for any related service. Simmons landscaping offers the best value for your money, especially for a large installation or maintenance of current landscape. Simmons Landscaping has grown to be one of the Central Georgia's finest and respected landscaping firms. As a landscaping company that is dedicated to providing the utmost best in landscaping and professional maintenance, Simmons is proud to provide services for Dublin, Central Georgia. Our focus on customer service should give you the confidence that your property will be installed, designed, and maintained to meet all industry standards. When choosing a landscaping company in Dublin, Central Georgia, Simmons landscaping service should be your number one option.